Business fan pages created in Facebook need more exposure to the online public. The website or blog is the main board to get heavy traffic. People create professional fan pages to get online social audience, but sometimes it does not hit the way they wanted. Just by creating of fan pages don't work, some tricks also have to be applied for driving traffic to your website via fan page. This goes without saying that fan pages should get likes and shared by users and that will drive traffic to your site. Driving traffic to your Facebook fan page and then to your website is not so easy. There should be interesting articles, videos, good content that will attract people. While creating your "Fan page", you add ingredients in it that attracts users, like create online store, create forums, landing pages, create events,create static iFrame Tabs, etc. 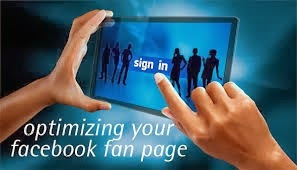 Now to make your fan page work successfully, some tricks have to be applied while optimizing it. The URL of your fan page should be added in your "Email Signature"
Continuous thinking some other ways regarding promotion of fan page needs deep knowledge about other social media sites and other tricks. Recently, Facebook has introduced a new system for rating popular fan pages. This system is called as "Star Rating" system which will rate the fan pages according to likes and fan base.